Low initial cost and long service life provide outstanding value. 4:1 design factor in six popular configurations to 15 tons working load. 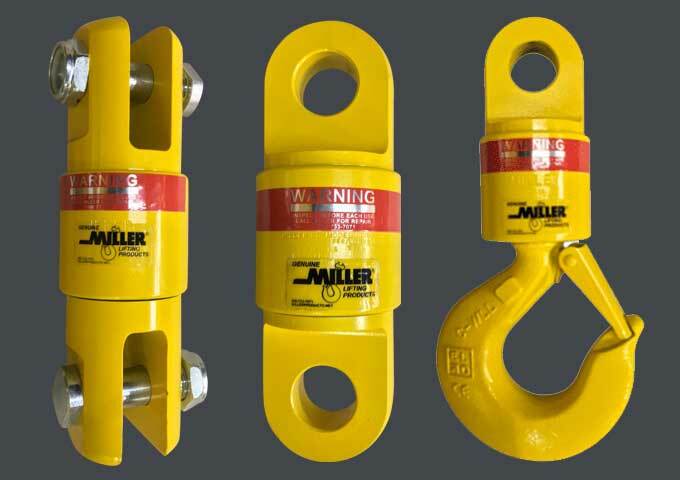 Miller Econo-Link swivels are at work as swivel hooks on thousands of crane trucks, in rigging and lifting applications from infrastructure construction to oil and gas production, and in utility and general industrial.